NADEX Binary Options Review—Is It Legit or Scam? 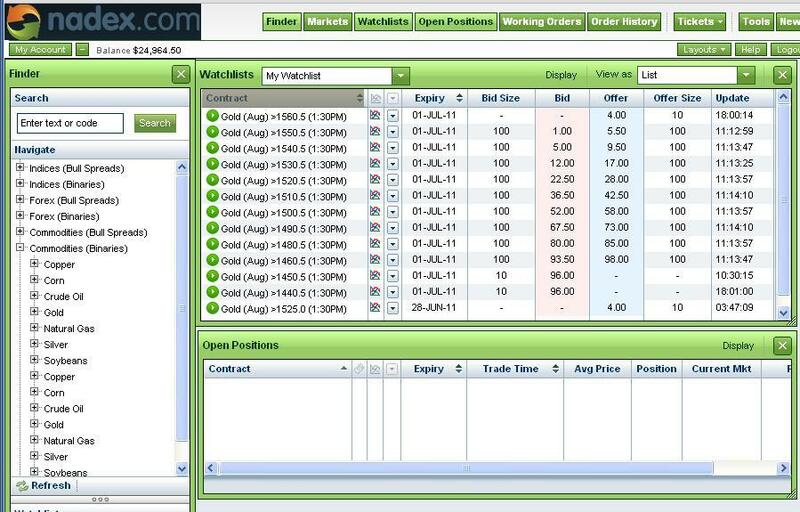 NADEX is one of the most popular exchanges for binary options. If you are interested to trade in this exchange, let’s read this NADEX binary options review first to find out whether it is legit or not. NADEX is an exchange for binary options trading. The best thing about NADEX is the fact that it is based in US territory hence regulated by CTFC. CTFC (Commodity Futures Trading Commission) is a government agency that is responsible in supervising futures, options and any related trading. This agency is set up to protect traders and the public from any possible frauds. There are several things that makes NADEX better than the other similar binary options services. Firstly, NADEX is not a broker. It is an exchange so NADEX is not involved in your trading. So, if you want complete control of your assets, which is definitely the best option when it comes to binary options trading, this is the one you should choose. Furthermore, the fact that this exchange is legal and under the regulation of CTFC makes NADEX a safe option to trade with binary options. Binary options itself is still a frowned upon practice in the world of US stock trading. So, a legal exchange like NADEX is actually very rare. NADEX offers lower risks compared to the other providers not only because it is a legit exchange. The minimum deposit it requires is also very low. With only $100 in your account, you can immediately start trading. Since it is a US based exchange, your money will be stored in a top-tier US bank, which means you can withdraw your money anytime you want without any complicated process. With binary options, you cannot exit a trade anytime you like. You have to wait until the trade expires to find out whether you get or lose money. With this exchange, you are given the option to exit a trade before the expiration. This way, you will have more freedom in managing your money and cutting your loss. Despite of the huge and fast profits it promises, it is undeniable that binary options is very risky and it doesn’t exactly have a good reputation. The key to find a trusted exchange is to look for a CTFC regulated US based exchange. Thankfully, NADEX is one of them. So, if the security of your assets is your first priority and you want to avoid any problems in the future, this exchange can be a great option. 0 Response to " nadex binary options review"